VISUAL DYNAMICS 6 * * HOW STRONG IS YOUR VISUAL IDENTITY? Much like the quality of your teaching, the quality of your visual content should be consistent throughout. I am aware that you can’t book me to photograph each grading. So what I usually suggest to my clients is to book me in once a year to do the bulk of photos that you can use for all your platforms. I exclusively offer private tuition to my clients to teach you how to use your phones and cameras to take better photos throughout the year! The goal is to keep your quality up as much as possible “inbetween” so you don’t lose credibility due to a huge gap between amazing photos and crappy phone snaps. Be aware of the meaning of colors. Pick your main color and maybe a secondary one and keep it at that. Use it in all your communication, be consistent and recognizable. Make sure you have real content. Get inspired by others but make it your own. Use your own pictures. 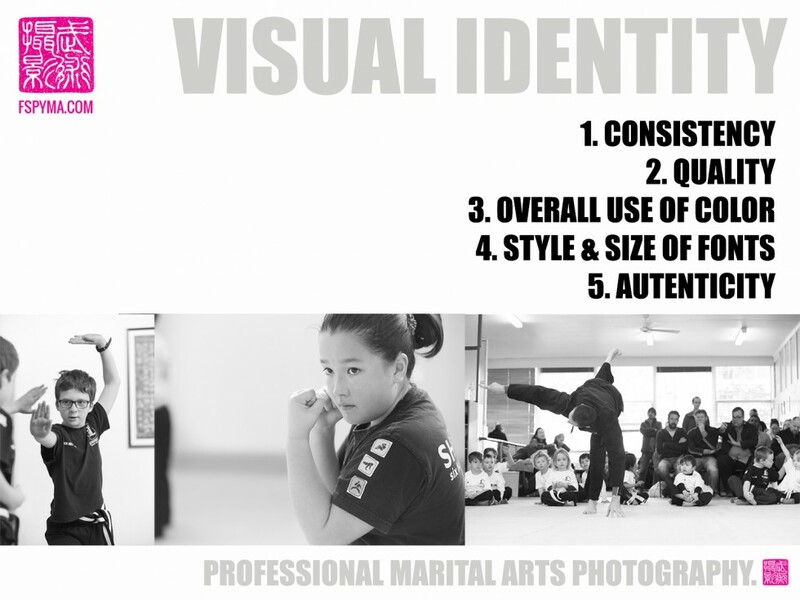 All photos are Copyright 2019 Martial Arts Photography International by Francine Schaepper. Do not reproduce any images without written permission.